Handmade with double cream, Cornish sea salt and the finest cocoa, grown on our sustainable farm in Colombia. Handmade. Slow & simple wins the race. In pots we bake. Gluten free. Nothing artificial. Suitable for vegetarians. 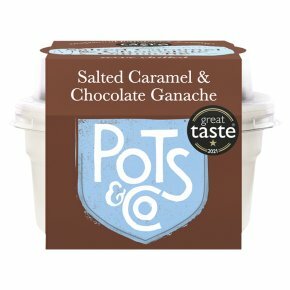 Our Pots Aren't Just Pretty Baking our puds in their pots gives them their signature depth and intense creaminess, while naturally doubling their fridge life.